NEW YORK – January 11, 2018 – Combate Americas today announced the signing of five-division world boxing champion, including reigning World Boxing Organization (WBO) bantamweight (118 pounds) champion, Amanda “The Real Deal” Serrano (Boxing: 34-1-1, 26 KO’s; MMA: 0-0) to an exclusive, multi-year promotional agreement. The only female fighter in history as well as the only Puerto Rican competitor ever to win five world titles in five different weight divisions, the 29-year-old Serrano who was born in Carolina, Puerto Rico and fights out of Brooklyn, N.Y., will make her Mixed Martial Arts (MMA) debut in La Jaula, the Combate Americas cage, on a March date to be announced soon. 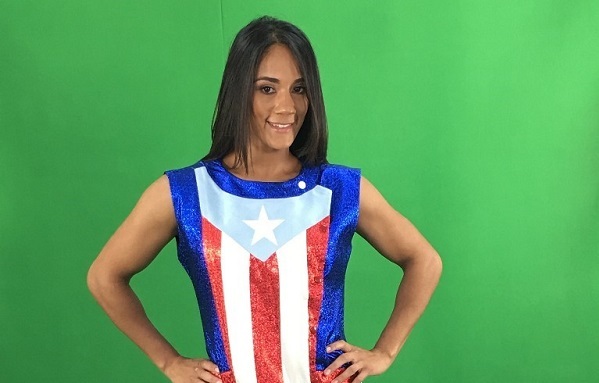 “We are excited to bring Amanda Serrano, one of boxing’s most exciting superstars into the Combate Americas familia, and look forward to placing her on a global stage that is the premier sports property in 21 Spanish speaking countries worldwide,” said Combate Americas CEO Campbell McLaren. Serrano, a top 10 pound-for-pound fighter, will continue her burgeoning boxing career under the promotion of DiBella Entertainment, and attempt to become the first athlete in history to simultaneously hold world titles in MMA and boxing. Serrano captured her first major world title, the International Boxing Federation (IBF) super featherweight crown, at just 22 years old, with a brutal, second-round knockout of Kimberly Connor on September 10, 2011. She has since torn through the ranks of fighters in four other weight divisions, ranging from bantamweight to lightweight (135 pounds), and most recently scored a first round TKO on Marilyn Hernandez on November 4, 2017. Serrano was inspired to cross over to the world of MMA by retired world champion Miesha Tate, who has since become Serrano’s co-manager. 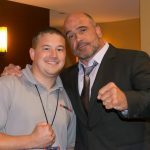 Combate Americas is coming off a banner year, producing remarkable television ratings in the U.S., Mexico and Spain, including the first two Telemundo MMA events in history that generated the highest ratings of any Spanish language MMA shows in the U.S. in the summer and fall of 2017, and as many as 6.9 million viewers for one episode of its weekly television series on TV Azteca in Mexico.